Not all mobile applications are the same, there are many types of apps, but definitely the most downloaded and earning a greater return on investment are the games. There are many companies that want to invest in creating mobile games as a business but do not quite know where to start. 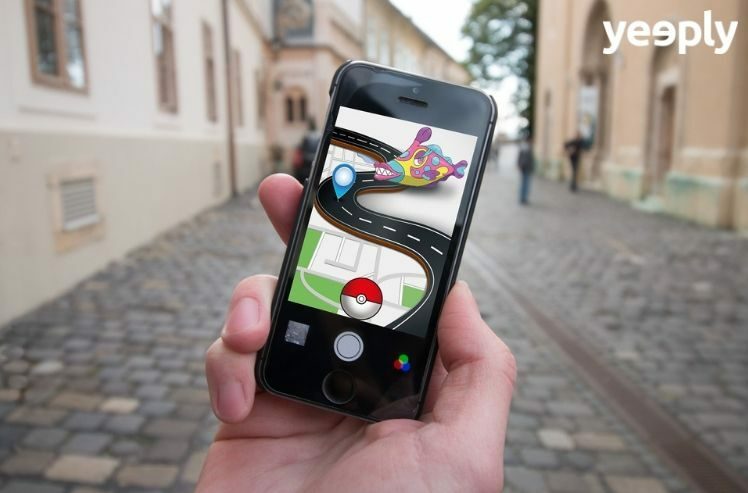 At Yeeply we have already given you a guide on how to create a game or a successful mobile app, a step by step development guide. In this case, although the process is similar, it may be slightly different in some respects. Yes, the most important thing when creating games for mobiles is having a good idea. In this way, creating a successful mobile game is very similar to creating a successful app. If we do not have a good base, an idea that we know will be liked we will not get anywhere. But it is also the most complicated part of the process of creating games and mobile applications. There is no exact formula for success to get an idea of this kind to succeed and not fail. Make no mistake, it is very difficult to get ahead, get revenue and profit with a mobile game, but if you can give some clues to get on the right track. The idea is the basis, as we have seen. Therefore it is essential to be unique, original, different. And we know it’s complicated, it is difficult to make a difference by creating games because there are millions. The stores are full of games, and it seems that everything has already been invented. So what can we do? The trick is to stand out from what has already been made. Although there are games that are similar to our idea, if our idea is good we have to work to make a better proposal. There are many examples of games that have copied an existing idea and have succeeded. A clear example is the game diamond puzzle or ‘bubble’ type games, a lifelong classic within mobile and classic game consoles. For example King, with their Candy Crush game-a version of the diamonds game but with sweets- and their game Bubble Witch. It is the business of creating games for mobile that has managed to reinvent an idea and bring it to success, eliminating competition and loyalty of players to the extreme. But how much does it cost to make an app like these? Find it out in our guide! When in doubt, a simple game and dynamic game which is easy to understand will be more successful than a complex game. This does not say that the game has to be easy to overcome but must present challenges to the player. The dynamics of the game we’ve seen that have triumphed in mobile games are as easy as ‘drag’ and ‘tap’. A clear example would be the game Flappy Bird that functions by simply tapping on the screen of the mobile device, has gained unparalleled global success. In the event that your game needs a more complex dynamic game, we suggest you go introducing it gradually through a good ‘onboarding’. It is also better to use the game’s first steps as a tutorial and go explaining how everything works the user to launch the game without more. The kinds of games that use these techniques you are usually inspired by games consoles or desktop computer games. An example might be the game Clash of Clans or game Jurassic Park Builder. If the dynamics of the game are in the heart of a game development project, the game design itself should revolve around it. The story that directs the game, characters and final appearance are key to the game designer. Therefore the design of your game can be key to differentiating yourself from the rest, so you can take advantage of this process to create a game for Android or iOS that is unique. From realistic minimal styles of flat design, comic style, etc. the possibilities are endless when choosing the design. How to create a game for mobile an earn money? Development of an app can be just as expensive as developing games for any platform. So one of our goals should focus on having a business plan indicating how we will recover the investment. In-app purchases: integrated shopping is the most commonly used method for monetizing games. Although they made only around 2% of Android (slightly more in iOS) it is one of the most effective ways to earn income from users. Ads within the app: There are many apps that combine this technique with the purchases in-app. We must be careful with the content of the ads because if it’s unrelated or annoying the user result will be counterproductive. Premium versions: Offer a trial version and charge the user to continue playing the premium option, especially the use of high-quality games. Pay per download: This strategy usually implements games with very high investment. Although normally pay per download is usually not very high, there are some games that were born from the concepts of traditional game consoles have been adapted to mobile devices and charge a significant amount. STEP 3. What technology do we use to create games? HTML5: We have already spoken about how programming applications with HTML5 has its advantages. In the case of creating games in this language, one of its advantages it saves a lot of development and testing time. In addition to that with a single development, you can create a game for multiple operating systems. Programming in Native language: Native development for each platform gives us a lot of advantages. Make the most of the capabilities of the phone or tablet, in addition to using the phone’s power in a much more effective way to make user experience significantly better. This type of development is always more expensive because you have to create one for each operating system and need experts in each subject. Unity 3D: There example of games developed with Unity that really does not seem that way; for example the case of Assassin’s Creed for IOS Infinity. This is a great tool that I have spoken about on more than one occasion. It is very useful for creating games for any platform tool, but Android is one of the major beneficiaries of Unity. 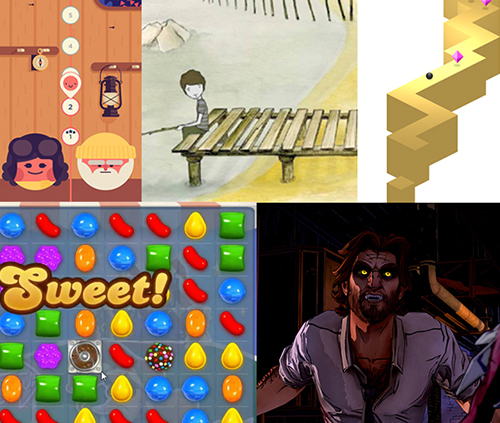 Other: There are many other tools to create native, hybrid and cross-platform games. Some are Xamarin, Marmalade or 2D Cocos. But every developer is an expert in one of them. At this point we return to what we have spoken about on other occasions: If you want to create a good game you need good professionals. You may not know anyone that can take on the heavy workload involved in a project you are planning. In these cases, platforms like Yeeply can help you find the right team for a project like yours. We’ll help you find app developers, designers and other mobile experts you may need to create games. Let us advise you and you will see how in a few months, after validating the work of developers, to begin to see little by little your game coming to life. Something to remember is that although mobile gaming applications could be considered to be applications they do not to follow the same process as normal applications that we have explored in hundreds of articles on our blog. Choice of technology is very important to choose the right technology to develop games, especially if they require high performance or depending on how complex they are going to be. We have many options for creating mobile games, we’ve even talked about creating games with Unity 3D, with Marmalade and even Cocos 2D. But we can also create them with HTML5 and native code. The game design is much more complicated than a simple application. In many cases, if the game is in 3D, will require the development of complex scenarios and realistic characters that are not always easy to animate. Also, the weight of the graphics matters a lot as they must be of good quality but also must not weigh much together for the game to run properly. Another particularly important aspect is the performance of mobile gaming applications. For example, if our Facebook takes three seconds to load the information it does not matter, but if the same thing happens in a game you may get not pass the next level or you may lose a life, etc. ultimately this hinders the gameplay. Now that you know all about developing games for mobile you can start putting the game idea to paper to define it well. This is the first step of this guide on how to create a game, remember? Now shall we throw you a line to look for a professional?